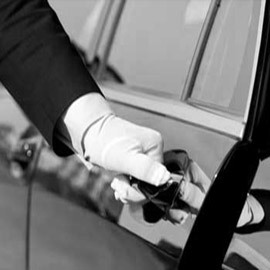 You may find many taxicab services that can serve you within the Shelford area, but none come close to the level of quality that ClockTower Cars can provide. Your journey is very important to us, and we want to make sure you get where you need to be in good time, whether you’re in a hurry to catch a flight, need to make an important meeting, or simply want to see what Shelford has to offer. Visit one of the villages within the Shelford area. Little Shelford treats visitors to picturesque views, the gentle babble of the River Granta and provides a direct route to Cambridge by train. Or why not visit Great Shelford? The village has many beautiful manors, fun sports and activities and one of the best delicatessens in Britain according to the Independent. The Shelford area is not without its claims to fame. If you’ve ever seen the album cover for Pink Floyd’s Ummagumma, then you’ve already caught a glimpse of Great Shelford, with the band posing in front of one of the gorgeous country homes in the village. Former President of the United States Barack Obama also traced his ancestry back to Great Shelford. No matter where you want to go, our fleet of vehicles are tailored to the needs and wants of all our customers. We operate with a wide range of vehicles – each of which is well-maintained and regularly serviced to ensure your comfort and safety. We’re the safe and sensible choice in taxi services. All of our drivers are fully trained in Disability Awareness, adhere to DVSA specifications and have years of experience under their belts. Our professional drivers will help you reach your destination in comfort and give you full peace of mind. 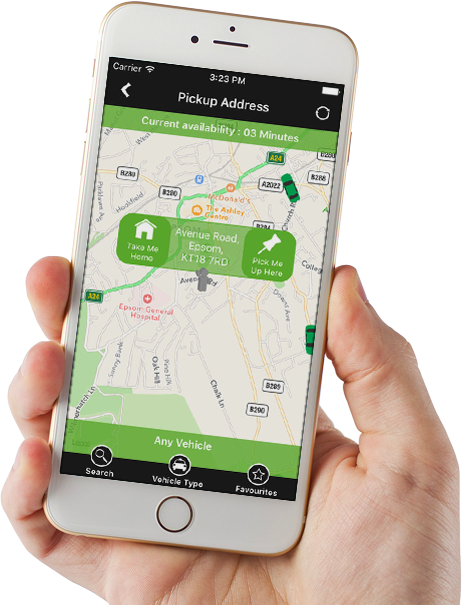 Our free ClockTower Cars app – available from the Apple App Store and Google Play Store – lets you book your journey, choose your preferred car, keep up-to-date on any changes in our services and track your hired vehicle live using our GPS tracking technology. Our app also lets you pay for your journey quickly and securely. We guarantee the lowest rates possible for all of our customers to help save our customers money. Whenever you need a private hire vehicle to transport you throughout the Cambridgeshire area, give ClockTower Cars a call. 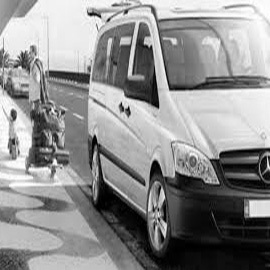 We offer our customers airport transfers, wedding chauffeuring, a quick courier service and even help you out with picking up kids up from school. To book your next journey through Shelford with ClockTower Cars, call us today on 01483 301 000 or click here to book online. I used the app for the first time last week, and I was surprised at how prompt the service was. Simply typed in the location and a car showed up with twenty minutes. I’ll definitely be using ClockTower Cars again! Really luxurious cars. Friendly drivers. Overall, I’m impressed. Airport transfers can be stressful at the best of times, but even more so when your flight gets delayed. ClockTower monitors flights before setting off to the airport, so when I did finally get back to the UK, the driver already knew my situation and was at the airport waiting for me – fantastic service! urprised with the level of service. The car was immaculate and the response time was faultless. Will definitely be using ClockTower Cars again.